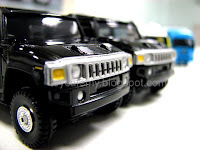 Generally Tomica produces Japanese car, it is quite rare to see American cars in Tomica series. 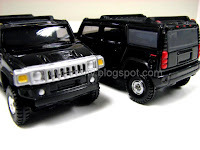 Hummer H2 is one of those rare production licensed by GM. 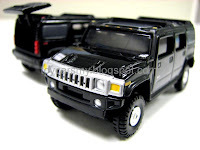 Compare to other Tomica cars, this H2 is a lot more detailed. 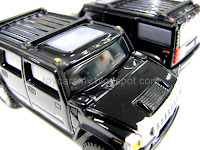 Especially on the front grill, look carefully, there is a fine Hummer word printed at the middle. 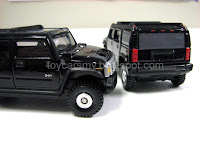 More Pictures attached below, look carefully for the build quality.